On October 22, from 1:00 to 3:00 p.m., the Women's International League for Peace and Freedom (WILPF) organised a human rights forum at the Swedish Parliament. The forum was hosted by Eva Selin Lindgren, Swedish Parliament member and vice chair of WILPF. Swedish Parliament representatives, China Experts, NGOs, and representatives from other persecuted women groups attended the forum. 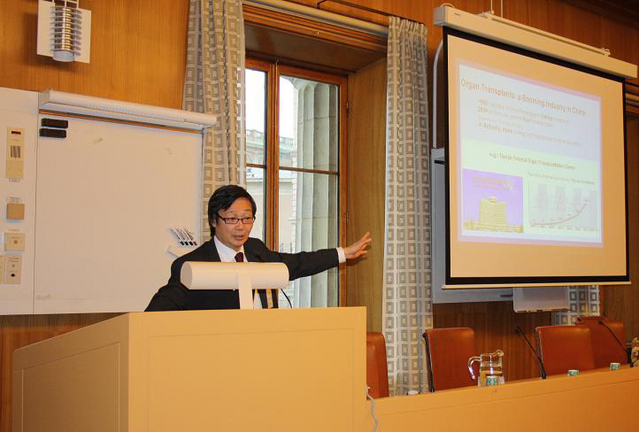 At the forum, Man Yan, China human rights expert from Germany, discussed the ongoing persecution of Falun Gong in China. In his presentation, he detailed torture methods used by the Chinese Communist regime against Falun Gong practitioners, exposing death cases, sexual abuse against women practitioners, and the atrocities of harvesting organs from living Falun Gong practitioners. 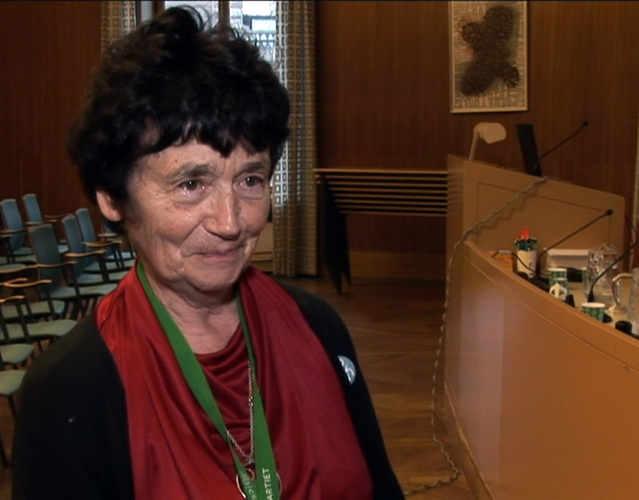 WILPF chairwoman Kirsti Kolthoff said, "I am outraged and also frustrated." Swedish parliament member Eva Selin Lindgren said, "I cannot imagine that the Chinese Communist Regime can use violence against people who just want to improve themselves...Because the regime has no reason to persecute them, it has to spread lies [to demonise Falun Gong]. So I believe that the key is to expose the lies and reveal the truth." Sweden: "The CCP's Persecution has Promoted Falun Gong Worldwide!"